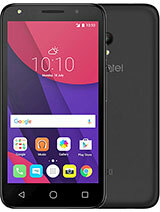 is this phone good or not? I have 991d (dual sim). 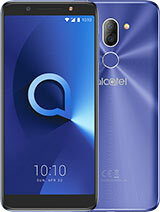 Just visit alcatel site and download the new update. Makes it very fast it is like i bought a new phone today. No lags no nothing. Tha only bad think is the small memory but thats life !!! 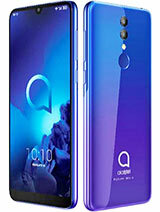 Maybe my question was previously answered, but once again: does this phone supports word, excel and PDF files? and also does it support Skype and Facebook? 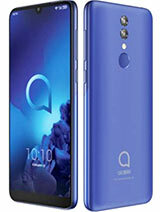 can you download whatsapp for this phone??? Anonymous, 24 Jan 2013when you get the error about not enough storage, click on Free memory. Then you click on an ap... morewhere can i find that so called "Free Memory" button or whatsoever? 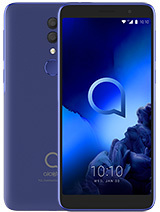 When the phone conected with computer ,the file that are saved in the galery of the phone,are hiden.what I can do to fix thes problem? 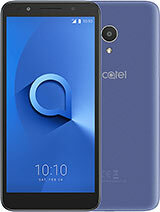 The phone work very slowly.because operating memory is only 150 mb.I have root 991 the max same place that I was able to root after release is 96 mb.Skype and facebook loaded phone very.Alcatel hope to take lessons and do more such phones! kahwajy, 08 Jan 2013991 is not working fine with viber can you help plz ? load speaker is always on I have the same problem. istvan, 23 Jan 2013Can I use videocall for skype ?No. Anonymous, 15 Jan 2013Is there front camera? Can I use for skype No.In skype not work. mags, 03 Jan 2013how do i save apps on the sd card phone memory keeps comin up full..when you get the error about not enough storage, click on Free memory. Then you click on an app, then choose Move to SD card. It won't move the app in its entirety for functionality purposes but a good portion of it will be moved so you can download and install more. Tea, 18 Nov 2012This phone is really good for its price and i don't regret buying it at all. Pros - A lot of... morei agree... for the money, its a good pick. yes , it could use more memory but when you go to manage the applications you can move most of the app data/size to the SD card. jace, 30 Sep 2012I bought this phone 2 days ago.. You know what....??!!! you cannot install games, apps, an... moreand can i buy a memory card and then have more app ? istvan, 23 Jan 2013Can I use videocall for skype ?Yes u can do so. Anonymous, 15 Jan 2013Is there front camera? Can I use for skype Can I use videocall for skype ?